The actor-singer kicks off the new Sarasota Opera House Presents series. 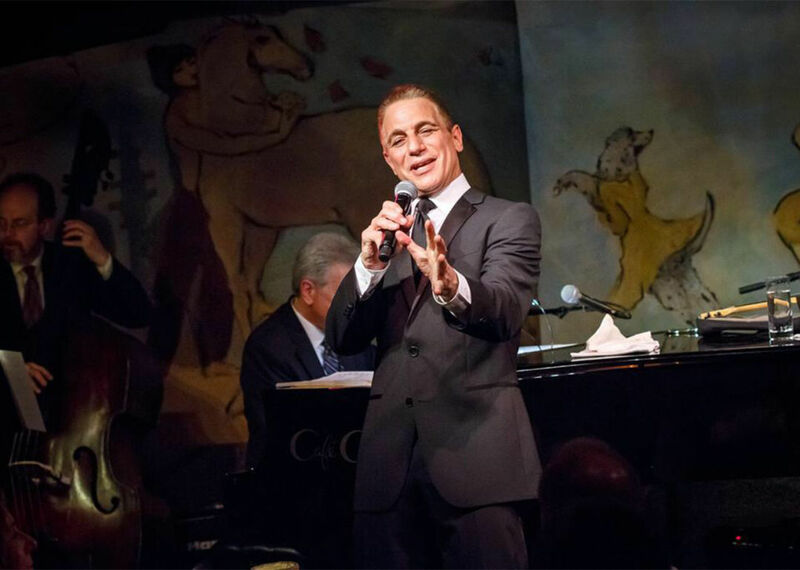 Tony Danza performs in Standards & Stories. You may know Tony Danza best from his years on the hit TV shows Taxi and Who’s the Boss? But Danza is also a song-and-dance man, as well as a storyteller. Those talents will be on display when he helps to launch a new series, Sarasota Opera House Presents, at 7:30 p.m. May 4, with his hit cabaret act, Standards & Stories. We chatted with him about the show and his career. You’ve been a boxer, an actor, a singer, an author and a TV talk show host. What was really your first love? Well, another thing I am is a teacher, and sometimes I think I love teaching first. I taught for a year recently, 10th-grade English at Northeast High in inner-city Philadelphia [an experience he wrote about in his book I’d Like to Apologize to Every Teacher I Ever Had], and it was the hardest job I ever had. I went to school to be a teacher, but when I got out of college I was kind of lost and looking around, and a friend entered me in the Golden Gloves. I did pretty well, and then I got a break when I was spotted at a gym and hired for [his role as boxer Tony Banta on] Taxi. You know that Taxi just celebrated its 40th anniversary? The writing on that show was as good as it gets. Speaking of writing, tell me about the show you’ve put together. I’ve been doing it for over 20 years, but when you do a cabaret act, you’ve always got to write new material or they won’t review you in New York. It started when someone dropped out of doing a show at the Carlyle [in New York City], so I wrote a show pretty quickly, and found pianist John Oddo, who had played with Rosemary Clooney. I’ve got a wonderful band, and we’ve played together 20 years now. You gotta go up there and have a good time; then the audience will. I don’t always get to sing at an opera house, though; sometimes you’re singing while the rollercoaster goes by. Who influenced you growing up, musically? My mother introduced me to Frank Sinatra when I was a young kid, and when I went to Hollywood I got to meet people like Sammy Davis Jr., Dean Martin, the Rat Pack I loved. I also had an older cousin who introduced me to doo-wop, which I used to do in the act. But I outgrew it [laugh]. I really appreciate the lyrics of the songs I do now. Each one is a little play. I love the song “You Go to My Head,” for example, and the same writer who wrote that [lyricist Haven Gillespie] wrote “Santa Claus Is Coming to Town.” That’s amazing. Q. Any unfulfilled dreams as a performer? You always want a great part to come along. I’m doing a show now for Netflix called The Good Cop, which drops in the fall, and I’m having as much fun as I’ve ever had since Who’s the Boss? I’ve got to ask: How do you stay in shape these days? I work out every day, no matter what time I have to be someplace. If I have a 6 a.m. call, I’m up at 3. I’m 68 years old, and I can’t just jump out of bed anymore, but you’ve gotta do it. There has never been a day, no matter what the job, when I didn’t work out first. It’s not fun; it’s like working a shift. But when you’re a boxer you’re always worried the other guy’s in training. For tickets to Tony Danza: Standards & Stories, call 328-1300 or visit sarasotaopera.org.